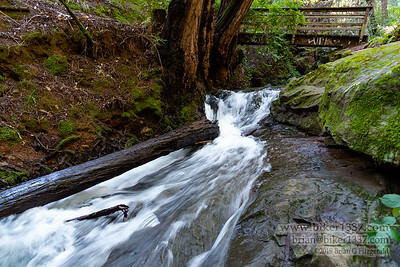 The bridge above Cascade Falls in Mill Valley. 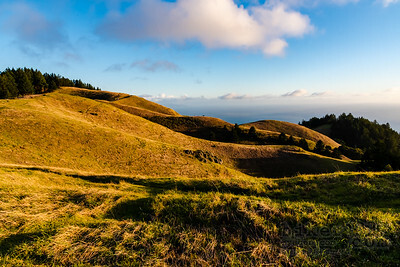 The rolling hills of California with the Pacific Ocean in the background. Mt Tam from the Ridgeview Road. 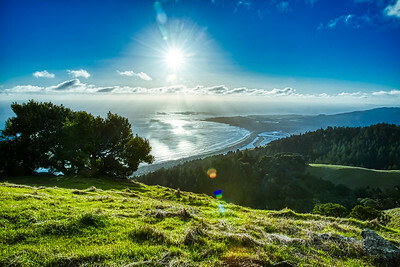 Stinson Beach in the late afternoon as seen from the Ridgeview Road on Mt Tam. Spring.